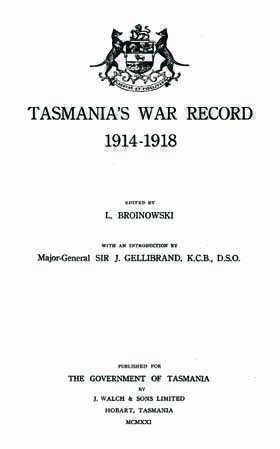 This offers wonderful information on Tasmanian soldiers - both those who fought abroad and those who performed their service from home. It's an immensely useful genealogy record, for not only are the names and details given, but also for the historical accounts of the various units and fields of service. A must for anyone researching their family history or building their family tree! Decorations - summary of the various awards and the numbers of recipients Tasmania's Muster Rolls - these generally give name, rank, date of enlistment, length of service, rank on discharge and other remarks. Maps and photos are included.